← Video – Is Ending World Hunger the Same Thing as Sharing Your Bread? I’ve tried to represent what the poor eat in six different places for the six weeks of Lent. Eat only a couple of meals per day without snacks and eat the same food all week. Pray through your hunger pangs. Ask God to make you hungry for his kingdom come among the poor and ask him to provide for the needs of those who suffer hunger. In several of the locations Scott lists, I’ve eaten with poor folks there, and they stuffed me beyond silly in meals I remember years later as some of the best and most joyous moments of my life. Now, please understand: These people and places (among others) are really poor. Really, really poor. There’s no mistaking that. But what I found in these people and places (among others where really, really poor people live) is that they are even more remarkable for their hospitality and generosity than for their poverty. And yet, when I think of Guatemala, watery oatmeal is the last thing that comes to mind. Oh my gosh–I thought my side would burst open and gush rivers of living…chicken soup. When Mrs. F and I traveled from village to village there ten years ago, in each village–I mean, each village–they welcomed us with these impossibly large heaping bowls of chicken soup. It was really quite wonderful the first ten or eleven times it happened. Since then, for the past ten years we have not had to eat. Ever. OK, so that is an exaggeration. But it is a mild one. Point is, what strikes me is that most people during lent already really do get the idea that we eat way too much and that poor people have to get by on way too little. Eating little to remind ourselves of that is, well, good. For your meals this week use Cream-of-Wheat as a substitute for the Russian staple among the poor – Kasha. Have this with some bread and boiled potatoes. Make a simple broth with carrots, onions and beets. When I think of my past trips to Russia, what comes to mind is the sheer panic I feel every time the kitchen door swings open and another full meal emerges. At 10AM. After we’ve had breakfast at 9AM. And 8AM. After “dinner” (second dinner?) the night before at 11PM. Cream-of-Wheat is what you try to eat at home, for weeks after you return from Russia. Eating with the poor, who always serve guests in abundance, no matter how little they have. Poor people serve in abundance because they, you know, share with each other. And when we eat with them we get to experience the very important emotion of being embarrassed because we know they are serving us so much because we are considered valued guests and our arrival is considered cause for a feast. And this leads to the emotion of wishing we weren’t so valued, because (a) they would keep more food for themselves for future meals, and (b) our abdomens might not burst open lengthwise for massive hyper-overextension at their table. And this is not just a show they put on for Westerners. Feasting on multiple occasions is the official sport of much of the world outside the US. Our Thanksgiving dinners are a humble and meager comparison to what happens regularly around the globe, at births, weddings, deaths, and multitudes of other joyful occasions. Now all this should in no way set aside that there are many places where feasting comes along far too seldom these days. And yet–permit me the cantankerous observation that this very important fact of food scarcity ought not to permit us to force the poor into the joyless little stereotypes to which we so readily confine them in our imaginations, and from which it would do us good to permit them to emerge and jog around, at least on occasion. Then spare the Cream-of-Wheat and go and do likewise–especially among them. Just be humble enough to let them show you how first. 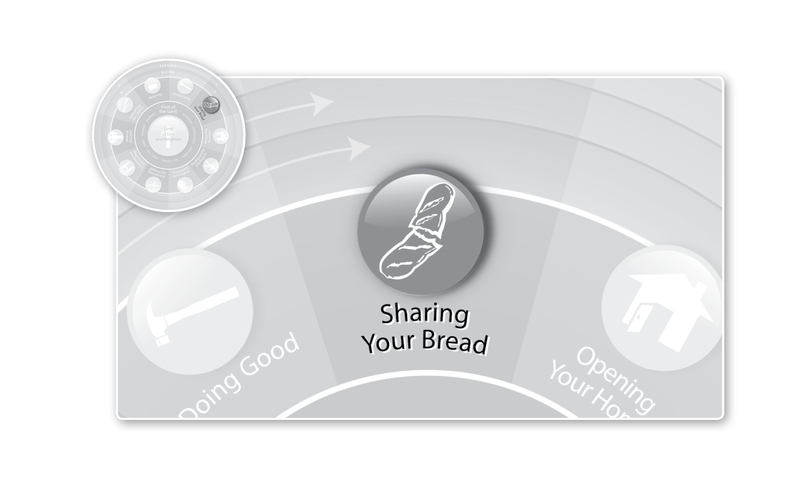 This entry was posted in Sharing Your Bread, Uncategorized and tagged cream-of-wheat, Lent, Poverty. Bookmark the permalink. You nailed it on the measure of generosity based on percentage of income. We are left in the dust.